Across the globe, in millions of storefronts, employees build displays and arrange products in a bid to get customers to buy things they hadn’t planned on. It’s called a store plan, and thanks to the marriage of AI data analysis and virtual reality the concept is much smarter than it’s ever been. These plans are traditionally conceived in warehouses, giant physical spaces mocked up to resemble the interior of a store. This seems like a huge waste, now that technology is making it more feasible to create a virtual environment to tinker in. The pressure that retailers are getting from the Amazons of the world, it can be boiled down to the need to really facilitate a better customer experience. 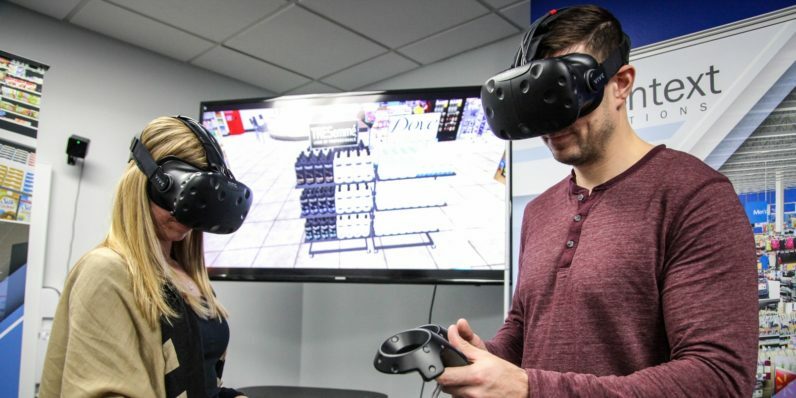 The company recently launched a VR headset solution on its ShopperMX platform, which allows retailers to create store layouts in an immersive VR environment. A lot of retailers start planning Christmas layouts in June, we allow them to visualize what that’s going to look like in a virtual environment, exactly as the customer will see it. We’re not just saving them money, we’re saving them time. Retailers are sitting on data that’s five or six years old, according to Wiedmeyer, and that’s why his company does more than just create virtual tours. The VR solutions they provide are created using data compiled by AI. Instead of relying on basic reports or sales figures, InContext Solutions uses AI to find patterns that humans either can’t, or couldn’t without taking years to compile it. These patterns drive the experience that we, as customers, see when we walk into a store. We really didn’t want to try and pick a winner when it comes to one device over another, but one thing we’re sure of is that we aren’t in the hardware business. We chose to stay device agnostic, so we’ve worked with a lot of different things. AI that predicts shopping trends, coupled with VR that’s only used behind-the-scenes, might not be the most entertaining way to use the technologies for customers – but it’s probably the most useful to retailers.